As the Tesla Model 3’s production hits its stride, the company has brought over the vehicles to several key regions, inviting reservation holders to view the electric sedan. Just today alone, reports from the Tesla community indicate that invitations were sent out to reservation holders residing in Germany, France, Sweden, Norway, Italy, and Belgium. In Asia, the Tesla Model 3 is also making its rounds, being exhibited in territories such as Hong Kong, China, and Japan. At this point, it seems safe to assume that after passing through “production hell” and attaining profitability in the third quarter, Tesla is finally preparing to bring the Model 3 to other countries. With this in mind, Tesla’s Model 3 assault on the global market seems inevitable. 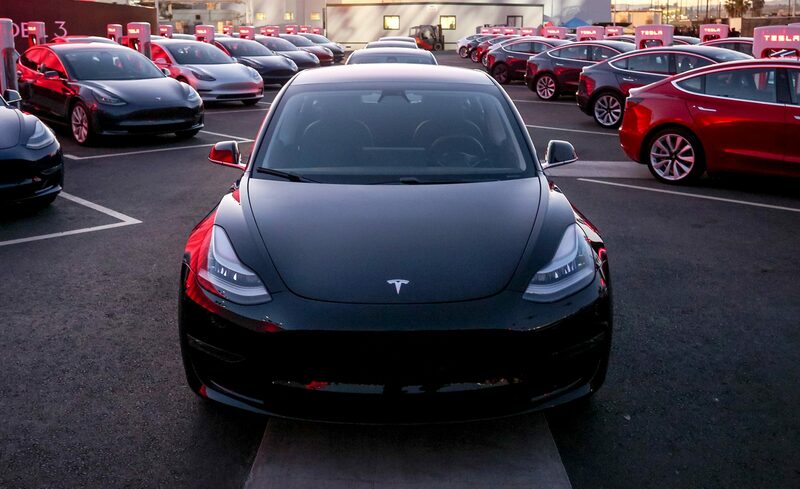 While the Model 3 is already proving to be successful in the United States, the vehicle’s distribution actually remains very limited, being available only in the US and Canada. With a global rollout, though, the Model 3’s potential disruption would likely be even more notable. Now Tesla Model 3 exhibition already started in JAPAN ?? Elon Musk has been quite conservative about his timelines for the Model 3’s global release. Back in March, Musk stated that the production of vehicles with an RHD configuration would likely begin sometime in the middle of 2019. During the third quarter earnings call, though, Musk noted that Tesla is expecting to produce a notable volume of vehicles for Europe starting January. The CEO further stated that deliveries in the region would likely see a ramp in late February or sometime in March. By the second quarter of 2019, Musk pointed out that Model 3 deliveries would probably start in the Asia-Pacific region. “We expect to start producing a significant volume for Europe in January. And it obviously takes some time to ship. So deliveries, probably pretty significant deliveries in Europe, kind of in the late February, March time frame because the cars have to get all the way from California to a customer in Europe. It will be kind of borderline as to whether cars are delivered in APAC by the end of Q1. So I can’t say it for certain. Definitely in Europe. But — and then definitely in APAC in Q2,” Musk said. Invitations for Model 3 viewings bode well for reservation holders of the electric car. Tesla, after all, started Model 3 exhibits in the United States not long before deliveries of the electric sedan began to hit their stride. That said, Tesla’s global rollout of the vehicle appears to have been teased in the past few months, particularly as Model 3 has been making the rounds in countries such as Australia and New Zealand. Just recently, the Model 3 was showcased as Tesla’s key exhibit in China’s International Import Expo as well. Tesla might still be a relatively young carmaker, but its reputation as a maker of the world’s premier electric vehicles is already getting more established by the day. While the Model S and the Model X proved that electric vehicles can be viable alternatives to fossil fuel-powered cars, the Model 3 is proving that an EV can stand toe-to-toe with the best-selling, most competitive passenger cars in the industry, and still win. As the Model 3 enters the worldwide car market, the electric sedan’s disruption and potential would definitely be put to the test.